Size of Common Cuckoo and easily told by distinctive black and white plumage, long graduated tail and crest; conspicuous white wing-patch in flight (unlike any other cuckoo). 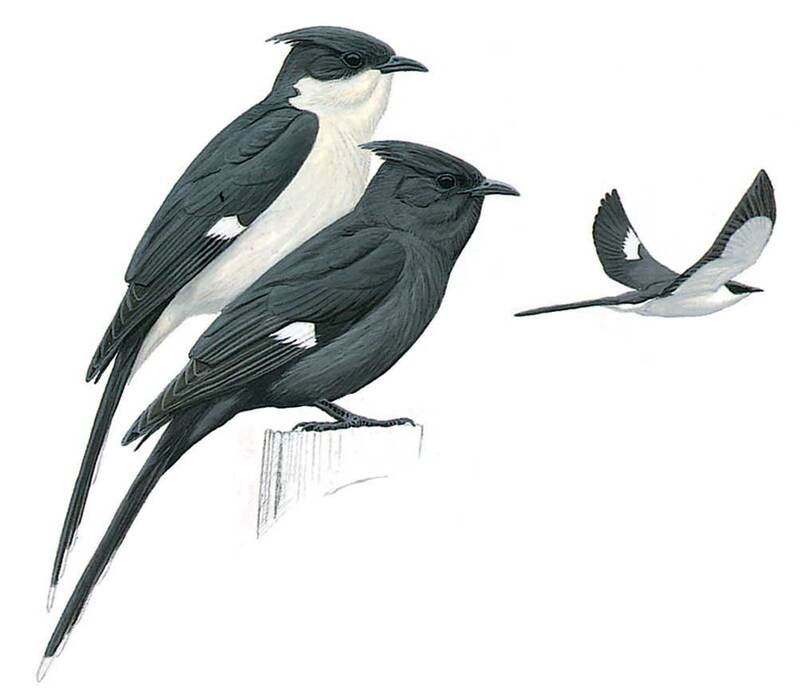 A rarer black form occurs (which also shows white in wing). Juvenile is sooty above with dirty white underparts and small crest.